Puzzle for kidsViete o tom, že skladanie PUZZLE rozvíja u detí kreativitu a má výborný vplyv na vývoj mozgu? Umelecky ilustrované Pucle navyše vzdelávajú, sú bystro – krásnou hračkou a spôsobujú tú najväčšiu radosť. Vyskúšajte Pucle KIDS s 24 alebo 48 dielikmi alebo Pucle s rámikom aj bez rámiku s 100 alebo 200 dielikmi od šikovných ilustrátorov. 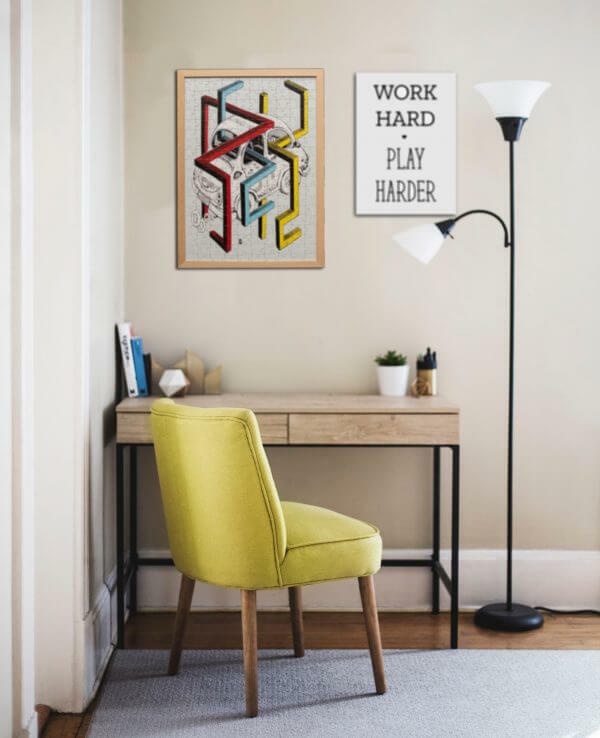 Puzzle frameMáte doma naše puzzle bez rámu v rozmeroch 47 x 33 cm a túžite sa nielen s nimi hrať, ale ich aj obdivovať na stene? Nie je nič lahšie! 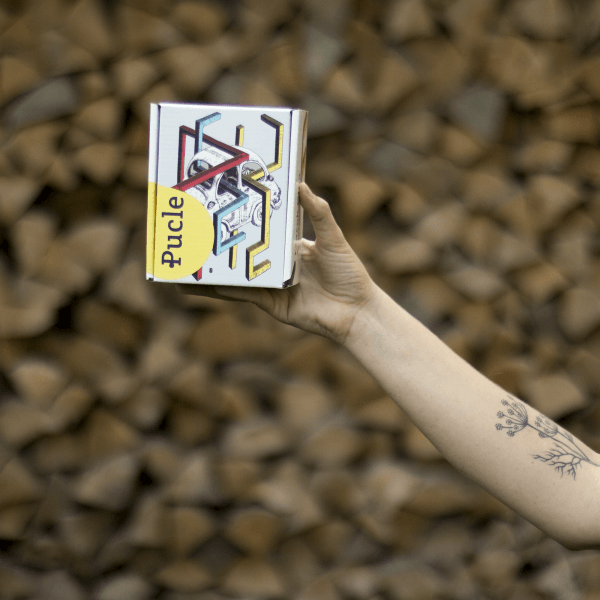 K Pucle bez rámu si môžete jednoducho doobjednať masívny bukový rámik, ktorý ručne a s láskou vyrobil náš ujo drevár. A viete čo? Tento rámik bude sedieť aj na iné puzzle veľkosti 47 x 33 cm. Okrem Pucle rámiku máme v ponuke aj ďalšie rámiky iných veľkostí. Do you like 3D? 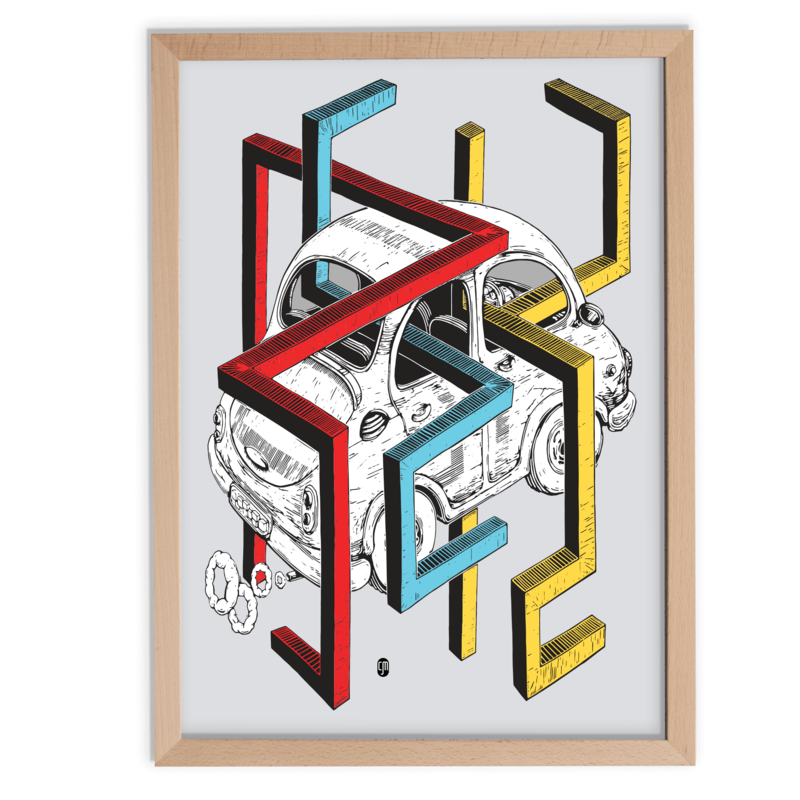 Enjoy the illustration by Marek Cina and look for a little puzzle within the puzzle. Can you decode what is hidden in the illustration? Assemble, have fun and train your brain! 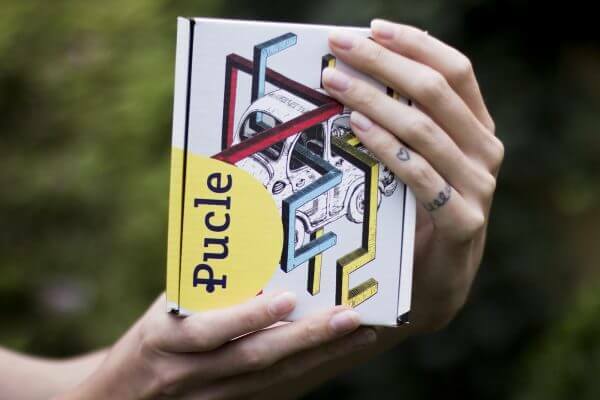 Do you want Pucle with a wooden frame? In the “Select frame” option, select “Puzzle with frame” and then select the number of pieces. If you would like to purchase separate puzzle without the frame, in the option “Select Frame” select “Separate Puzzle” and then the number of pieces. Beautiful puzzle with illustration by Marek Cina. 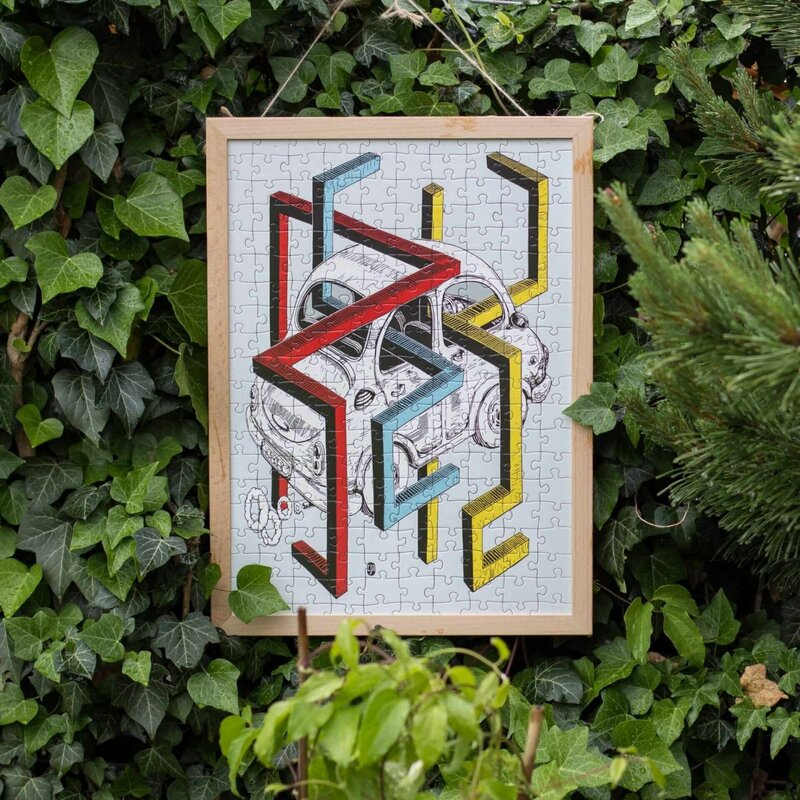 The puzzles are available in 200 and 500 pieces version and the package includes a solid wooden beech frame with components. You don’t need to glue the puzzle after assembling. Thanks to our special frame, you just lock it in and you can disassemble the frame and the puzzle anytime. And assemble again, just like an everlasting jigsaw! Meanwhile, enjoy the heck out of it in your interior and hang it on your wall! 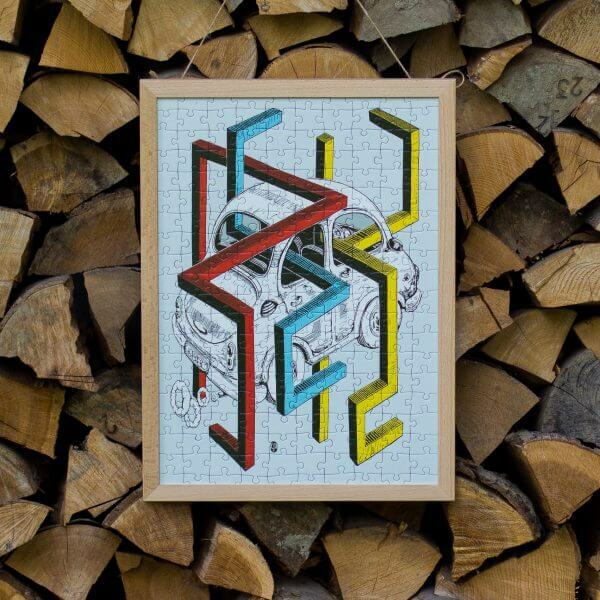 You can also order puzzle as a separate puzzle without the frame in 200 pieces or 500 pieces version. 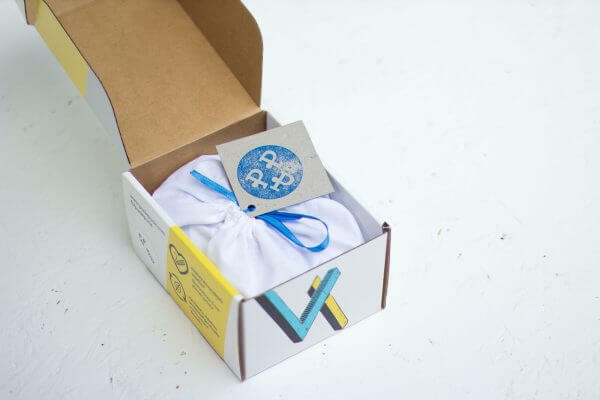 If interested, you can order the frame separately at any time later in our shop. Young, but experienced artist Marek Cina was born in Prešov. He graduated from University of Fine Arts and Design in Bratislava. His passion is drawing, but he likes to experiment in other art disciplines as well. In his work, besides illustrating books and magazines, you can find pop-up books and paper objects. From early childhood he enjoyed paper and he still kept a strong interest for ABC magazine even at the times when his peers were already chasing girls. 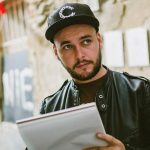 You can find out more about his work at www.behance.net/marekcina or instagram mrk.cina. "On this nice picture, as it‘s clear on a first sight of a clever viewer and a graphic enthusiast, we have a car. So it's the ideal motive for car lovers. But have you also noticed the typography that is hidden in the picture? Don’t worry if you haven’t. Eye and imagination need to be challenged. The name Autorek could help you. According to the dictionary of the Slovak language, rek is a man, a heroic warrior, a hero. Reks are only afraid of dishonor, and of nothing else!“ This graphic is part of Marek's cycle of Large Format Graphics called Rumors. When choosing Pucle with frame you will get puzzle in a cotton bag, recycled mat to go under your puzzle, four parts of assemblable frame, protective sheet and Guide for smart assemblers all packed in a beautiful tube packaging. 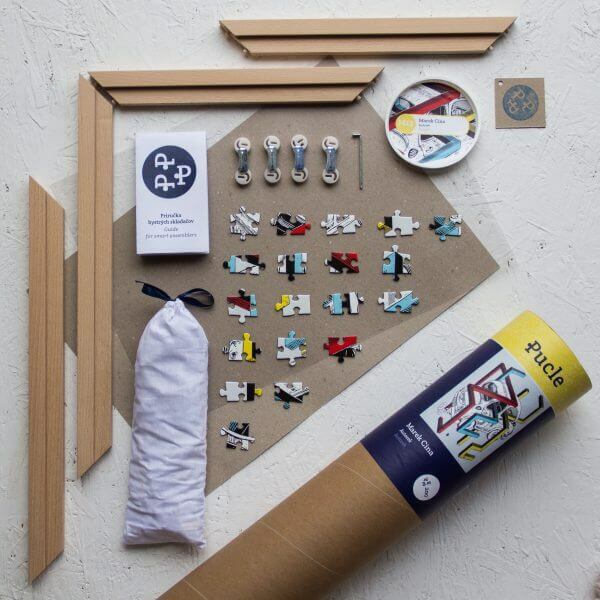 When you assemble the puzzle, you put the protective sheet on top and lock it in the frame according to the instruction in the Guide for smart assemblers. The whole process is very easy and you can see it here on the video. 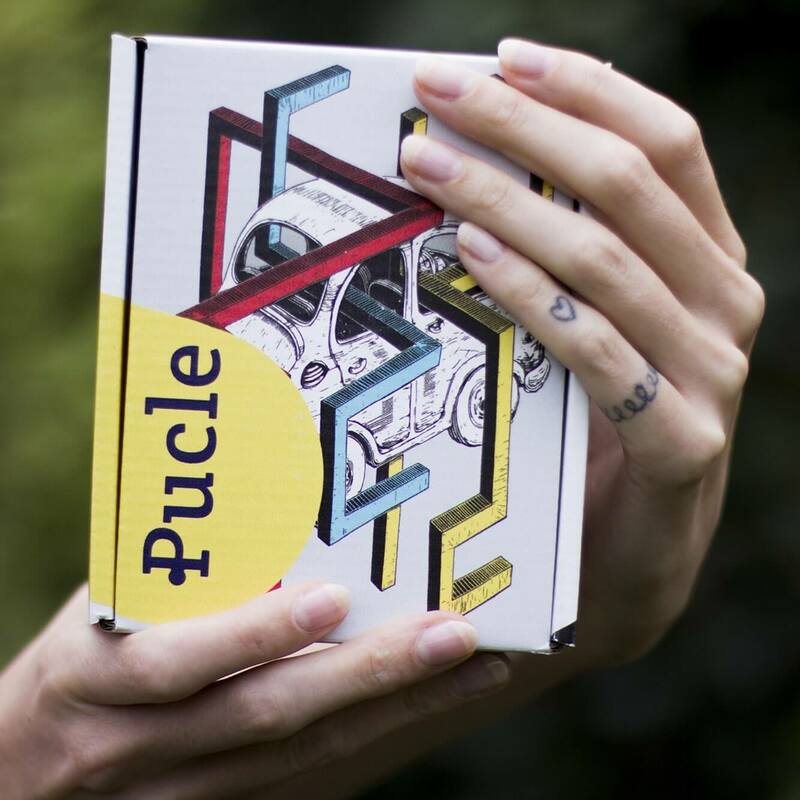 When choosing Pucle without frame you will get puzzle in a cotton bag and the Guide for smart assemblers all packed in a cute box or tube. In case you decide to frame your Pucle later, you can buy the frame here. When ordering Pucle KIDS in a mini-tube you will find lovely puzzle from recycled cardboard and a coloring page of the chosen motif.